In hospitals, nursing homes, at airports, exhibition centres and hotels, expert and professional cleaning is absolutely essential. Floors are cleaned several times a day or week, depending on individual requirements. The call is for a simple, safe, economic cleaning system to process the large number of different mops and floor polishers. 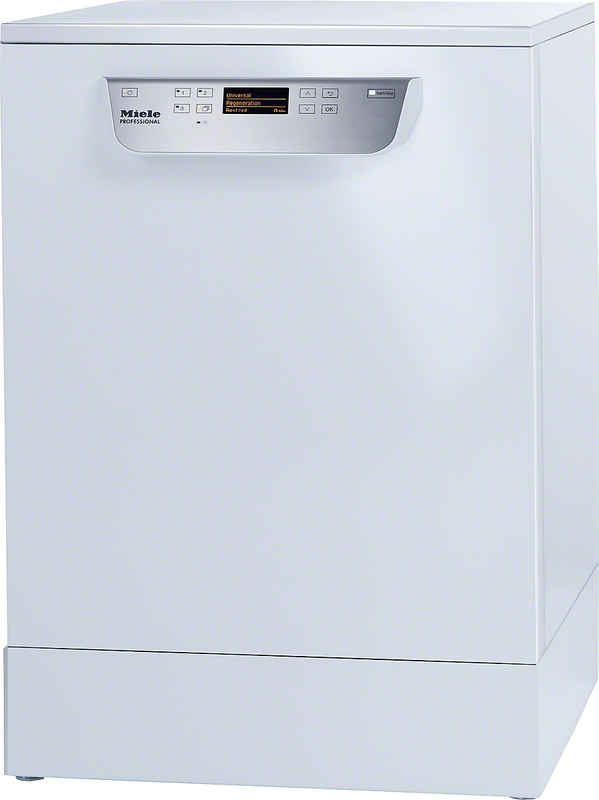 Miele laundry machines provide an economical, efficient solution. In the health industry, two thirds of the cleaning tasks involve surface cleaning. A considerable amount of time is spent on preparing cleaning and disinfection solution and replacing, washing and wringing cloths. It goes without saying that optimisation and simplification of working processes offers tremendous savings potential. With MopStar, cleaning solution can be impregnated into almost any cloths and mops as part of the washing cycle - so they're ready to use the moment you take them out. The results are as impressive as they sound: cleaning with MopStar's ready-to-use cloths is 40% faster than adding cleaning solution by hand. Tests also show improvement in surface cleaning, by more than 60%. In other words: MopStar is faster, simpler, and helps you clean better. And because MopStar comes from Miele Professional, every machine features smart ideas as standard. Like Miele's patented Honeycomb Drum™, and SoftLift ribs. Controls are elegantly simple - yet offer powerful features. MopStar washer-extractors boast separate programmes for mops and clothes. Users can adjust residual moisture, and select programmes for thermal and chemo-thermal disinfection. Whether you choose the MopStar 60 with its 6.5kg capacity, or the 130 with a capacity of 13kg, performance and durability are assured. ProfiLine dishwashers also come with unique touches. The PremiumComfort basket set, offers universal solutions for huge quantities of crockery, glassware and cutlery. Miele Professional ProfiLine office dishwashers to work on the fresh water principle - clean water with each wash, for extremely hygienic results. And thanks to high wash and rinse temperatures, plus a special 'Hygiene' programme, employee safety is prioritised. Working breakfasts, business lunches, meeting refreshments, and endless cups of coffee - in busy offices, crockery can pile up in no time. There is a simple solution for getting them cleaned quickly: the new ProfiLine dishwashers from Miele Professional. Built for the rough and tumble of office life, and built with Miele Professional's legendary quality and durability. Working breakfasts, business lunches, meeting refreshments, and endless cups of coffee - in busy offices, crockery can pile up in no time. There is a simple solution for getting them cleaned quickly: the new ProfiLine dishwashers. from Miele Professional. Built for the rough and tumble of office life, and built with Miele Professional's legendary quality and durability. Whether freestanding, integrated, or as built-under units, ProfiLine dishwashers have a knack of fitting into every workplace. In fact, the range was purpose-designed to meet businesses needs - in offices, legal practices, agencies, showrooms, workplace kitchens, and more. ProfiLine dishwashers are fast, powerful, and convenient. They boast short cycle times, high cleaning performance, and incredible ease of use. In short: perfect no-fuss dishwashing. Be more efficient by achieving up to 40 cycles per day with the new SPEED (PG8055) freshwater dishwasher from Miele Professional. With the shortest cycle only 5 minutes long, you will be able to accommodate more demand whilst achieving a consistently high cleaning performance.